Gioachino Rossini (1792-1868) wrote Il Turco in Italia in 1814. 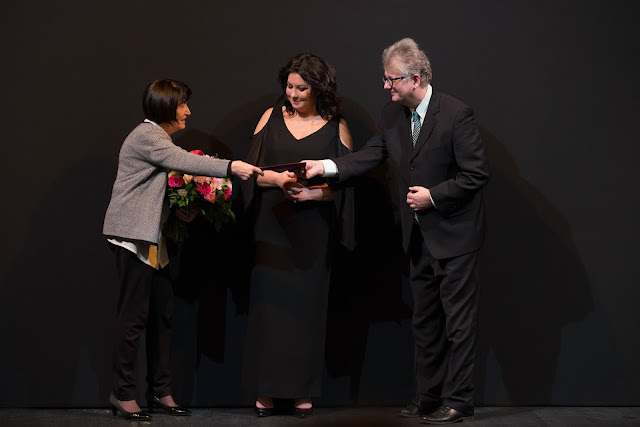 The work has seldom been fully appreciated as such an entertaining opera buffa. 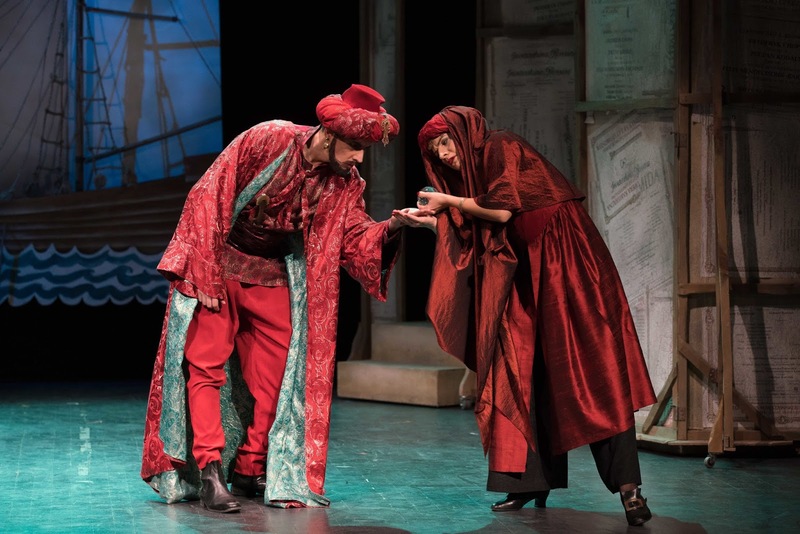 As it was recently staged in Poland, I think it interesting and instructive to briefly examine the rather exotic Polish-Turkish relations of the past. 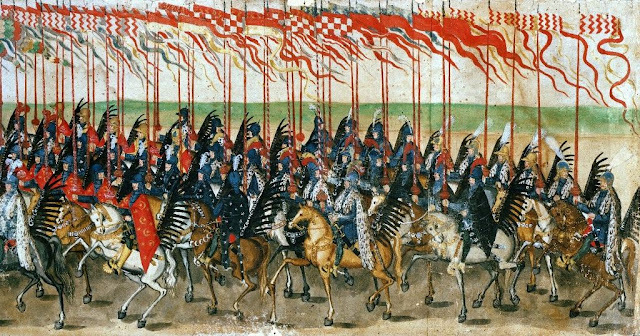 Over the centuries this fascinating and involved subject has had a profound influence on Polish history. 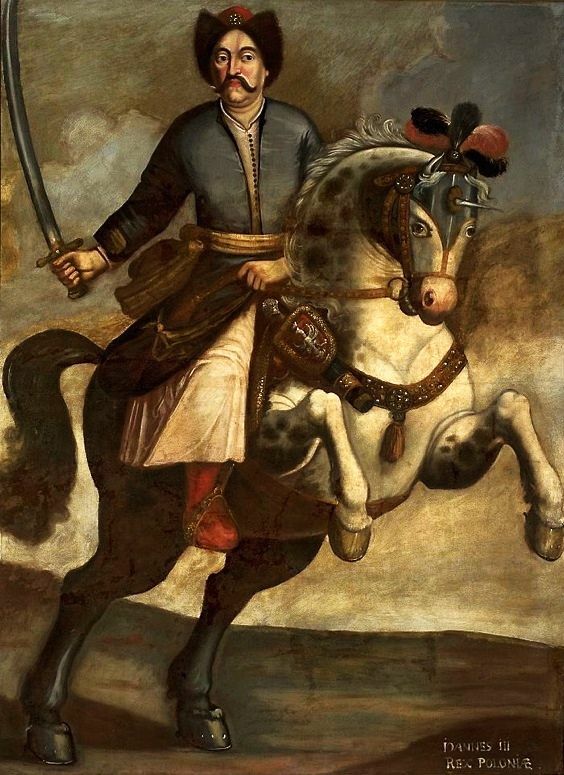 This was especially true in the 17th century at the spectacular Siege and subsequent Battle of Vienna (12th September 1683) that witnessed the victory of the Polish Husaria or Winged Cavalry under the command of King Jan Sobieski over the vastly superior military forces of the Ottoman Empire under the Grand Vizier Merzifonlu Kara Mustafa Pasha. 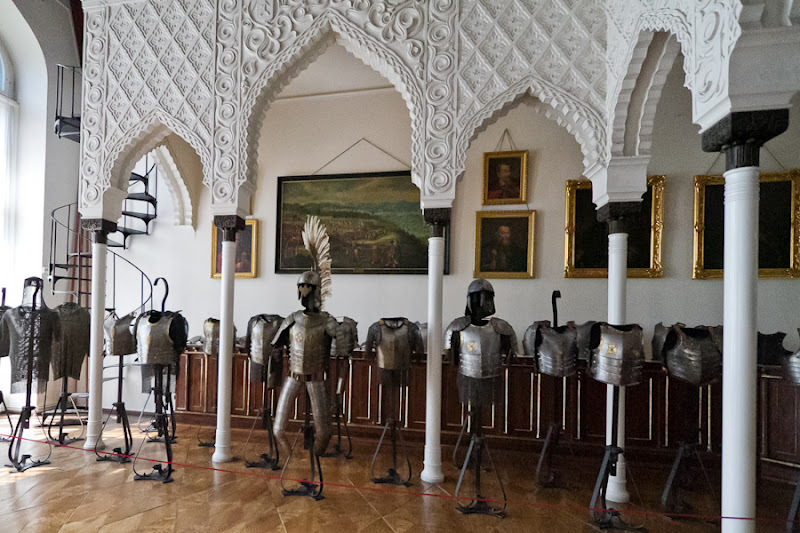 Historic relations between the two countries were initiated around 1414 with a Polish mission to the Ottoman Empire. Many wars followed over territorial claims in the Back Sea region. This was balanced in a way by supportive collaboration against the Habsburgs and the emerging Grand Duchy of Muscovy. During the Partitions of Poland the Ottoman Empire was especially, even uniquely, loyal to Poland. Turkey was the only country in the world that did not accept the Partitions. Many Polish emigrants settled permanently in Turkey. Even a Polish village named Adampol was founded by Prince Adam Czartoryski. Let us reminisce aesthetically. 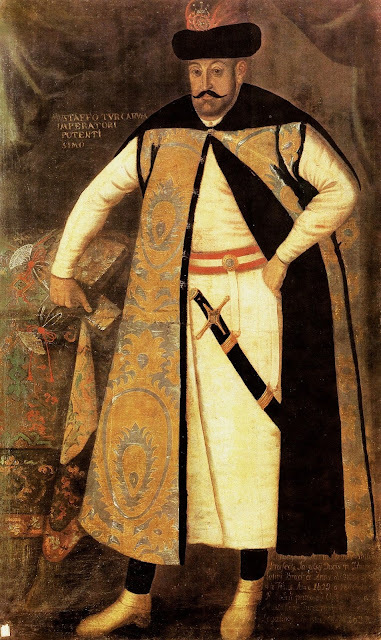 Fashions in Polish national costume (incorporating the notion of 'Sarmatism' if you wish) were greatly influenced by Turkey and Tartary in the 17th century, filtered at the time through Hungarian national styles. Polish ambassadorial missions and visits to foreign capitals were spectacular and opulent affairs, famous for their extravagance throughout Europe. The populace of Moscow or Rome thrilled to hundreds of sumptuously caparisoned horses dyed cornelian and white with ostrich plumes and silver breast-plates. 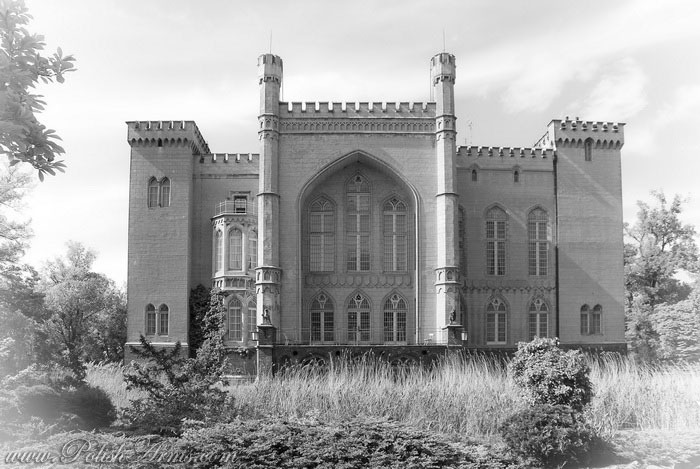 They gaped at running janissaries and camels draped in feathers burdened with the magnate’s travelling library. Horses were deliberately shod with loose golden shoes that flew from their hooves across the cobbles into the astounded crowd. Much szlachta wealth was worn on the person in the form of caps of fur and pearls, żupans of crimson damask, kontusz lined with silk and decorated with studs of gold set with precious stones – rubies, sapphires, garnets, and turquoises. 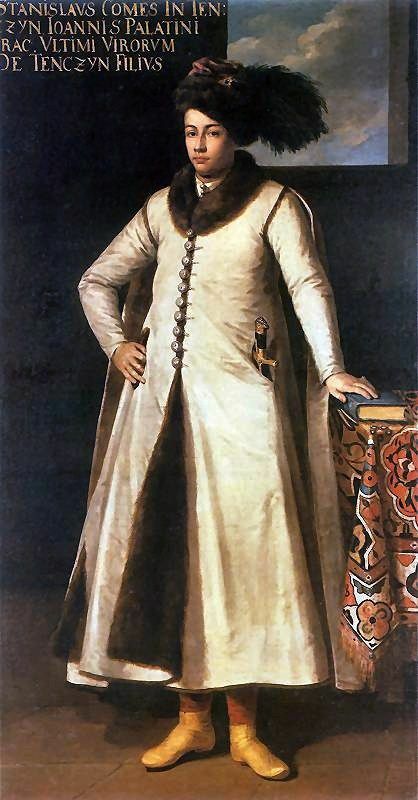 The żupan, derived from the Turkish caftan, was a long gown worn below the knee made of a decorative, sometimes richly patterned fabric such as silk, worn only by Polish nobleman usually under a garment called a kontusz. The kontusz was a long coat-like garment also worn below the knee in soft wool or fabric heavier than that of the żupan and lined with silk or fur with slit sleeves that could be thrown over the shoulders in summer. This uniquely Polish combination was worn from the mid seventeenth century to the early nineteenth century. The assistance of at least one servant was required to tie the long, broad silk sash in cloth of gold or silver known as the ‘Słuck belt’, decorated with delicate floral patterns. 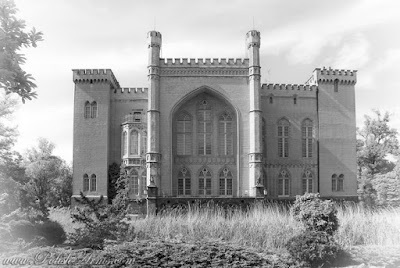 The men shaved their heads in a type of ‘pudding-basin’ style, occasionally leaving a long pony-tail dangling from the crown of a shaven skull. Despite fighting Turk and Tatar, these defenders of the faith, the ‘bulwark of Christendom’ rather perversely adopted the enemy’s spectacular oriental costume and dazzling military accouterments to the point where confusion of combatants sometimes reigned on the battlefield. 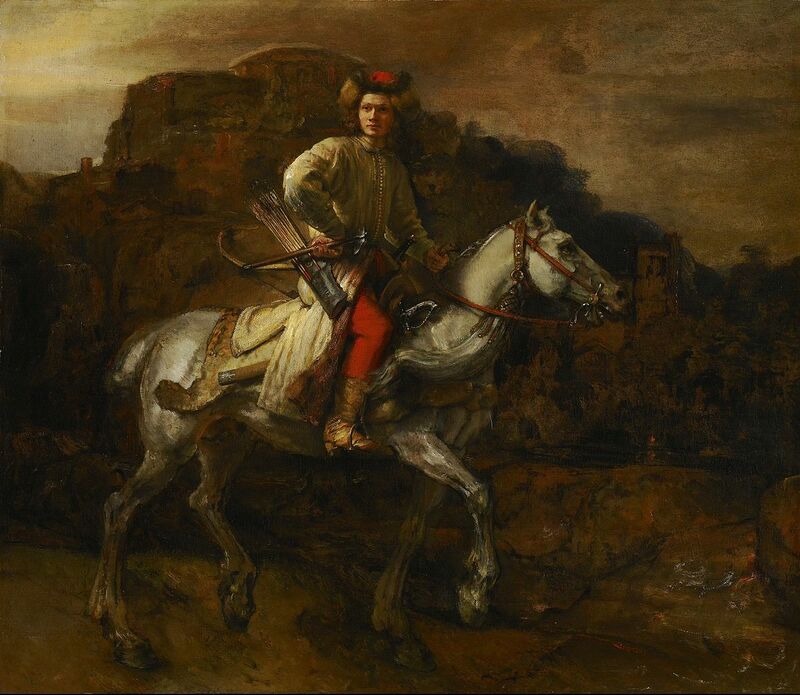 STANISŁAW TĘCZYŃSKI by Tomasso Dolabella (c. 1570-1650), estimated 1633/1634. 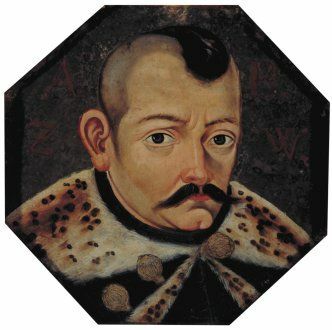 A portrait of a Kraków voyevod, the last male representative of his family, who died at the age of 23. One of the most beautiful early Polish portraits. From the collection of the Potocki family in Krzeszowice. Poland regained its sovereignty after the Great War. The flowering of a secular Republic of Turkey was welcomed in Poland and diplomatic relations were revived. Although this may appear unlikely, there were resemblances in the governing styles of Mustafa Kemal Atatürk and Józef Piłsudski. During the Second World War Turkey adopted a neutral stance and recognized the Polish government in exile, permitting the transit of troops and state assets to Poland. In the 1970s and 1980s there was abundant and significant private trade between individuals and citizens of Poland and Turkey. To generalize, in modern times there is an ambiguous relationship between the two countries rather like the face of Janus. One face emphasizes the nature of the historical enemy with its predominantly Muslim population whilst the other considers the long-term harmonious coexistence of both countries. 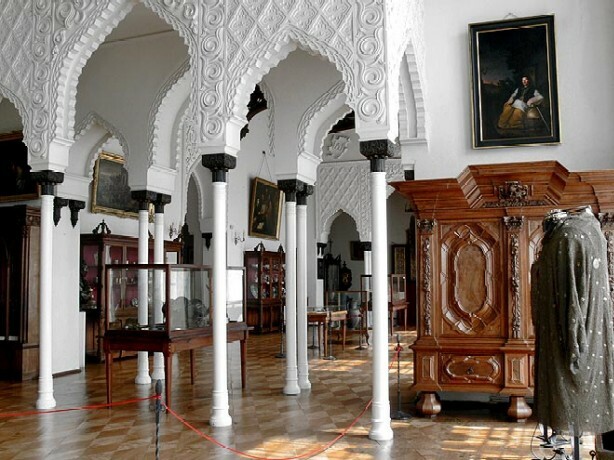 The strength of this gratitude is surely best illustrated by the magnificent Moorish Room in the Palace of Kornik near Poznan whose design was based on the Alhambra in Seville. 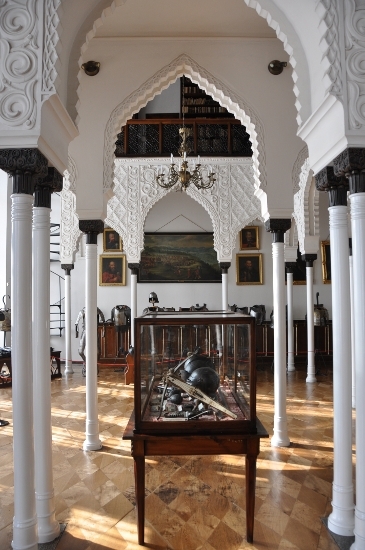 The room was built as a tribute to the unique Turkish support during the partitions of Poland. This historical background seems to play an important role in today's relationship. I ask once again why this brief history lesson? 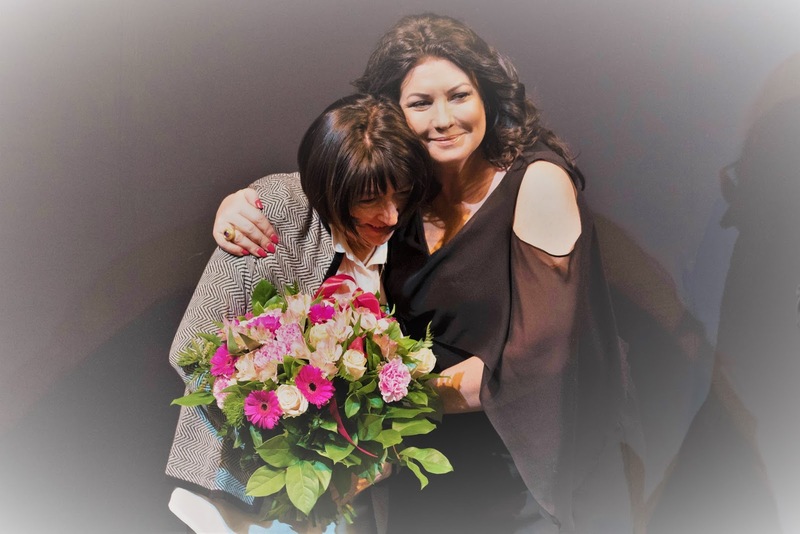 This rather old production was particularly wonderful for me as it brought back magical memories of the golden years of this opera company under its artistic director Stefan Sutkowski together with Ryszard Peryt and Jita Stokalska. Also how can I possibly overcome my sense of loss to the stage of that great Polish operatic star, the sopranist Dariusz Paradowski. These were the inspired days of the glorious Mozart and Monteverdi Opera Festivals of the 1990s. I was also happily reminded once again of the spectacular yet emotionally intimate set and costume designs of the brilliant Andrzej Sadowski who sadly moved on to a better world in 2009. Set in Naples of course ('Vedi Napoli e poi muori!- See Naples and die', a phrase coined by Goethe in his Italian Journey). 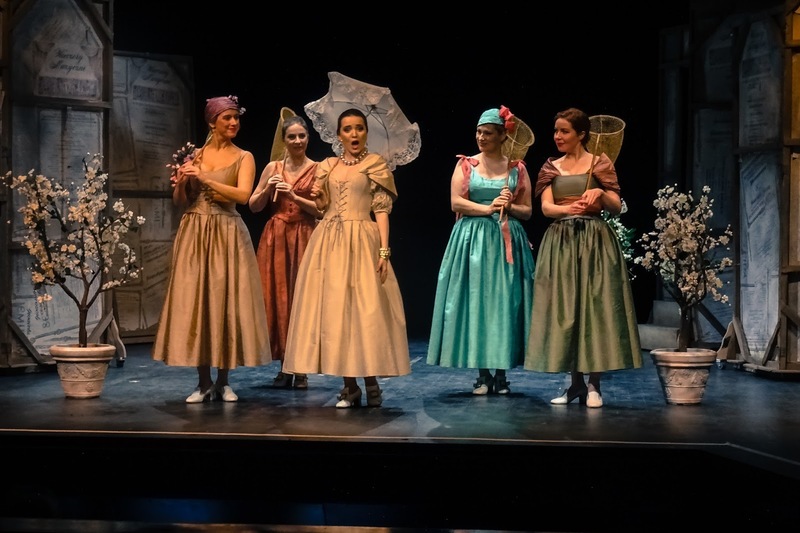 I found the opera an entertaining and delightful confection that convinced me that it should be approached not in a mood of 'high seriousness' but as rather a skillful romp. 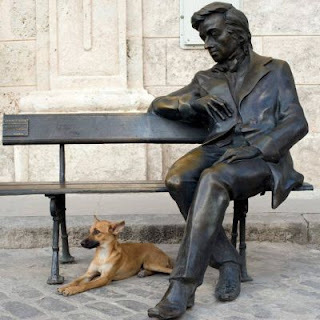 The 'charmingly trivial' libretto is by the Italian poet and literary scholar Felice Romani (1788-1865). With its crossed story lines and absurdly contrived love interests it was a laugh a minute well played up by the talented cast. Silly in an inspired literary manner - Romani after all wrote librettos for Donizetti and Bellini and was considered the most imaginative Italian librettist between Metastasio and Boito. The sort of opera that benefits greatly from a few glasses of Valdobbiadene Prosecco in the right convivial company beforehand! 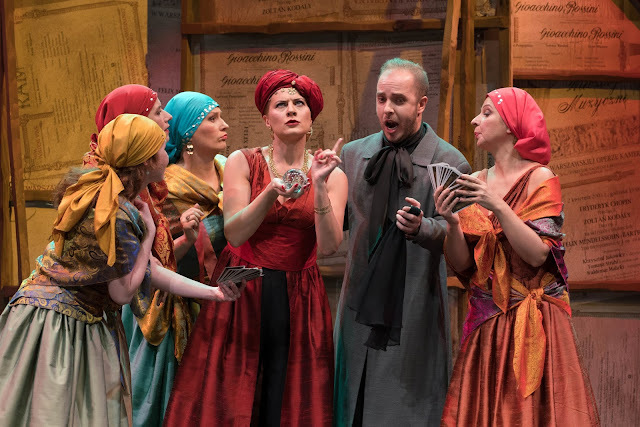 The entire opera is 'narrated' as an imaginative literary conceit by the poet Prosdocimo in his quite superior, fine and rich baritone by Stanislaw Kuflyuk. Prince Selim the somewhat priapic Turk, was wittily acted and sung, he of the twitching mustachios and arrogant walk, by the the bass Artur Janda. Endlessly amusing. The soprano Aleksandra Olczyk played the bewitchingly flirtatious, irresistibly inconstant and utterly adorable Fiorilla. The insanely vexed and absurdly cuckolded, linguistically explosive husband, the 'Neapolitan gentleman' Don Geronio, was amusingly sung by the bass Sebastian Szumski. 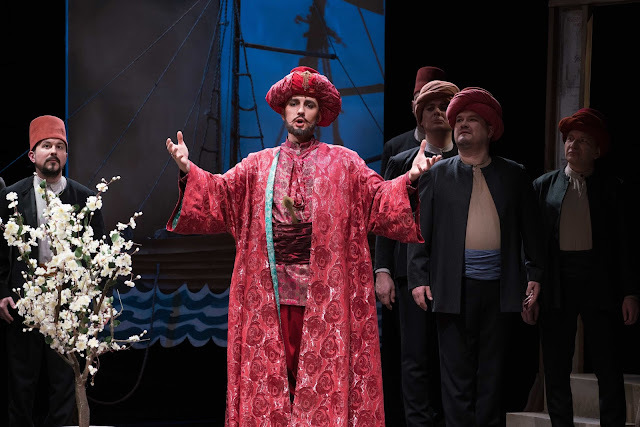 Another of Fiorillas pathetic admirers the lovelorn swain Narciso sung by the tenor Aleksander Kunach, a character hopelessly besotted and mired in unrequited love. Rossini and possibly Romani could not resist the unlikely emergence of an unlikely connection with a Turkish harem along with masquerades, 'inn scenes', gypsies and dancers - the whole shooting box of opera buffa. 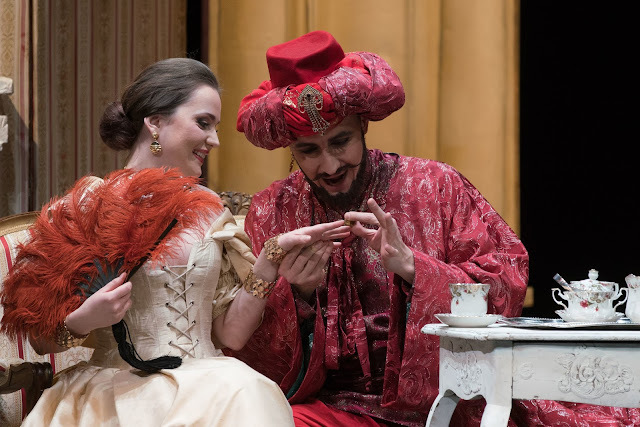 Prince Selim the Turk was once in love with the beautiful but unhappy Turkish harem habitué Zaida (sung and acted affectingly by the lovely mezzo-soprano Anna Bernacka) supported by her confidant Albazar (the tenor Tomasz Tracz). I must admit the dancers were incredibly athletic (break-dancers weep with envy) and often the best part of a scene. And everyone lived happily ever after.....how we need this sentiment in the world today! Rossini's always sophisticated orchestral score was allegedly completed by an unknown assistant. Various versions were performed while Rossini was alive but that story is more labyrinthine to unravel than the plot itself! 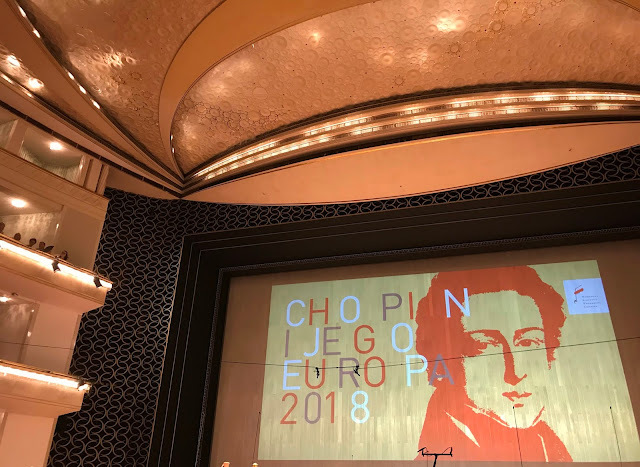 The Musicae Antiquae Collegium Varsoviense performed well and shaped the scenes convincingly under their distinguished conductor José Maria Florêncio. The Vocal Ensemble provided excellent support. The use of a fortepiano (in the English meaning of this word which means an early pianoforte) under the fingers of the extraordinarily experienced Violetta Łabanow was a discriminating choice for the recitatives. Approached in the right festive spirit without a tight thinking cap on but an enlivening glass of prosecco in hand, a highly enjoyable evening of innocent entertainment and for me personally one of tender nostalgia. Opera to enjoy!